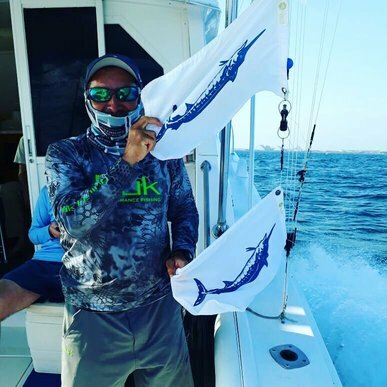 Reports haven't been so up to date, which can only mean the Captain is fishing hard! As a recap: December was pretty solid, early January also very productive with great groups to follow. Lots of challenges the last two weeks as most of the region is affected by cold fronts, which equals lots of rough weather for us. Even in a big boat, its just hard to get to where we want to, and its known to move the green water into the mix. While January and Feb are regarded as the best months to be in Guatemala, we also know some winters up north are harsher than others, which pushes wind our way. However, its our jobs to push the limits, work with other Captains to find the fish. THEY ARE HERE, its just a matter of finding them as they move quick. Finally this week we expect the weather to break and let us get back on the fish. While we complain, we are still putting up good reports better than any other region in the world. 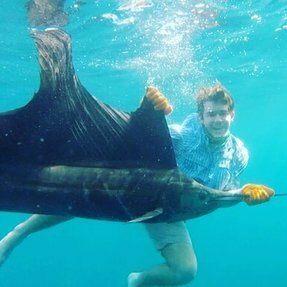 Last weeks double header of blue marlin at 15 miles was our highlight, as well as this young anglers first sailfish on the fly from Texas. Being this far offshore has also got us some NICE yellow fin. More to come! IT HAS BEGUN!!!! 2017-18 Season underway. 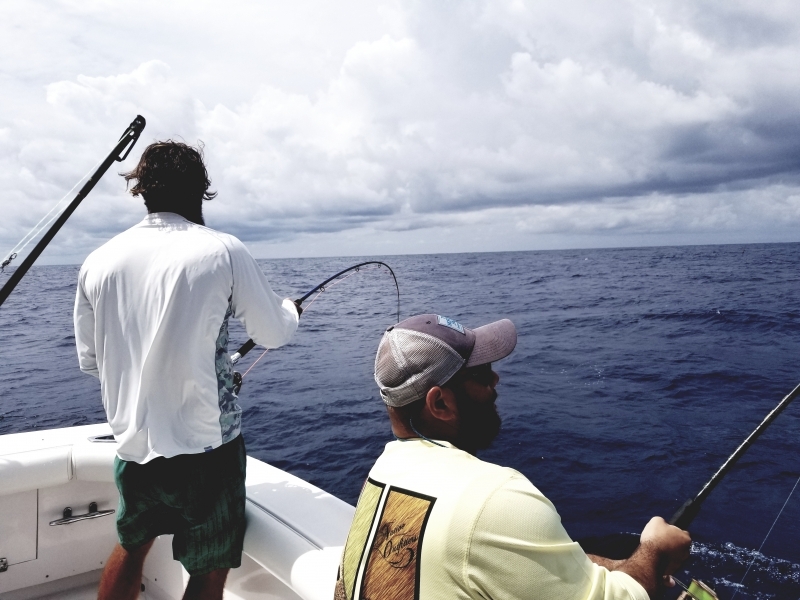 Simply put the best billfish fishery in the world. 2nd week of October we were hustling to get boats in the water. 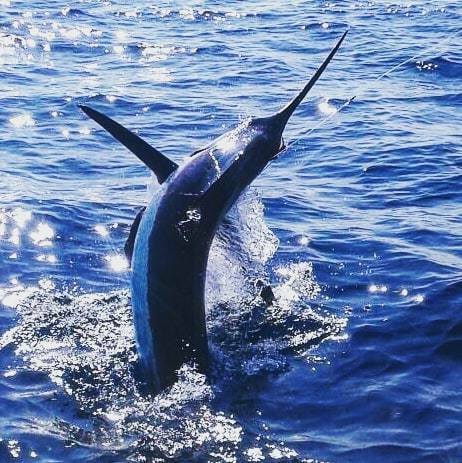 The first 6 days on the sails call we had close to 20 marlin in the spread. Numerous tags and releases, one of the best starts in the while. 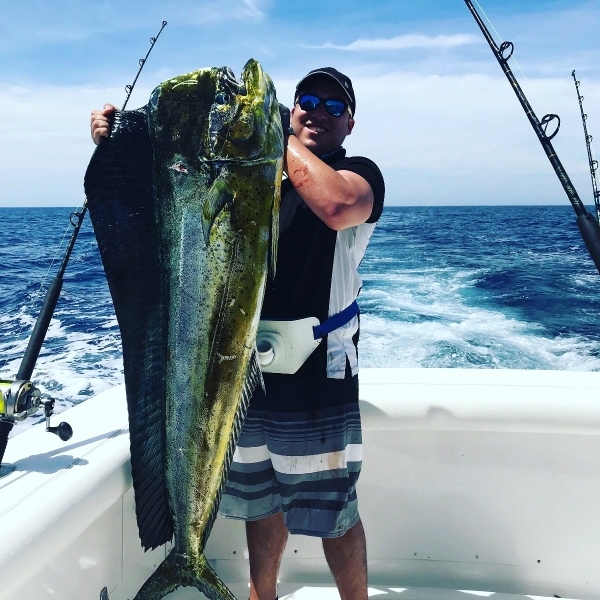 In addition while 20 shot sailfish days were here and there, we also had some of the best mahi mahi fishing. Nothing but BIG bulls in the 30-40 lb range. Finally we ended the October month with a repeat group from last year. Ex Pro Baseball player and tournament tarpon angler were at the Blue Bayou Lodge filming what will be one of the best fly fishing films out there. 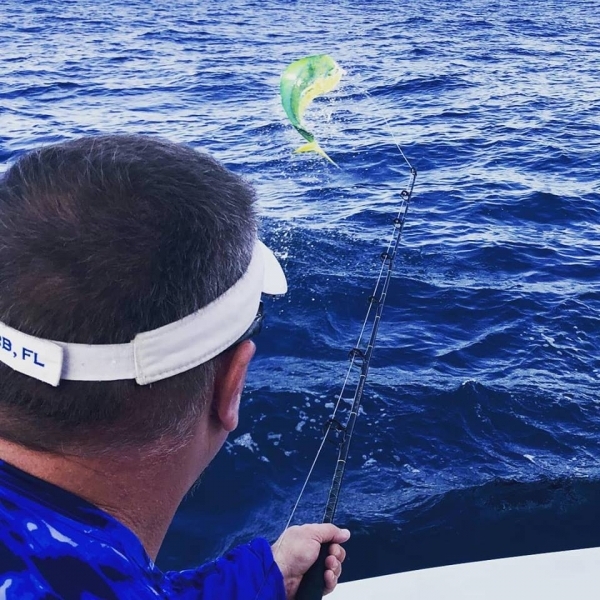 Top day 42 sails up, 15 bites on the fly, 8 releases and a very exciting blue marlin hook on the fly that quickly was over as the fly flew free after a few good jumps close to the boat. She felt the burn! Now we start November. 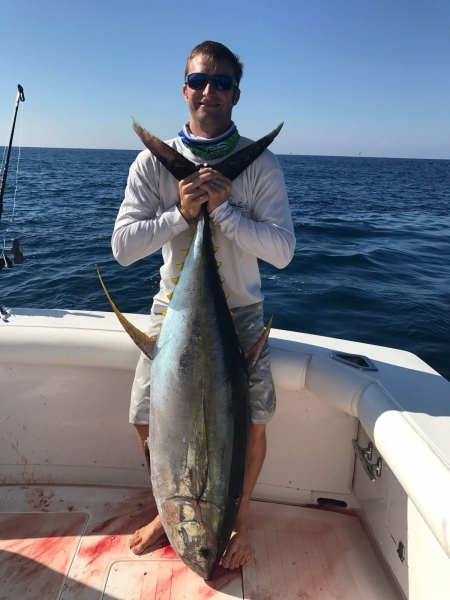 First two days we had pretty sailfishing and even better yellow fin fishing. 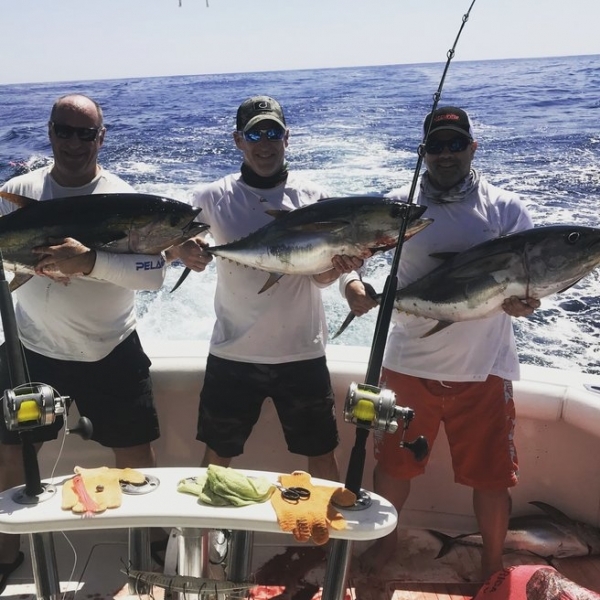 We hooked up on 100 lb tuna on 30 lb line!!! Smoked the smallest rod which was the rigger bait used mostly for sailfish. Regardless a good fight that ended with plenty of tuna to go around. Enjoy the pictures below, nothing but smiles!!!! 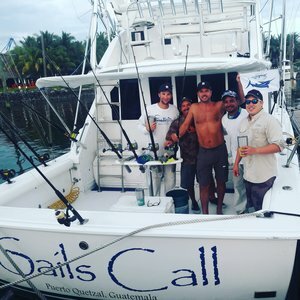 Next stop Tuesday team Sails Call pulls out for our annual run down to El Salvador for an international tournament. Wish us luck.